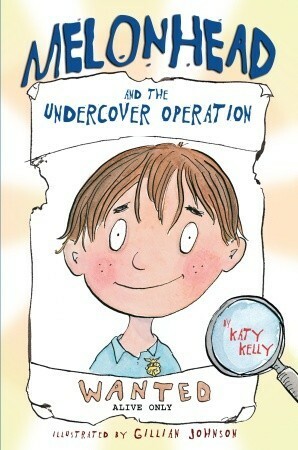 This is book 1 of the Three Ring Rascals. 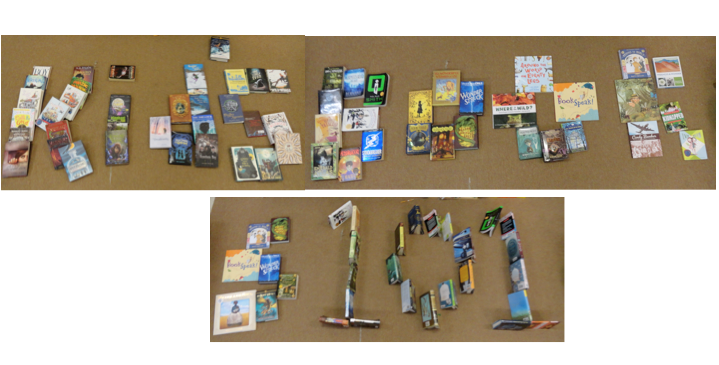 When you finish you’ll be glad that there is a plan for more stories with the characters that you’ve come to love. The book opens with “If you’re ever walking down a dusty road and see a sign that looks like this, STOP and look closely.” The sign says: Coming Soon! Sir Sidney’s Circus Animals! Acrobats! 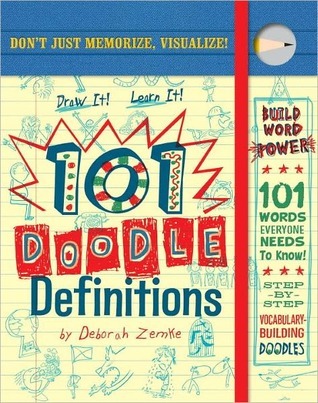 Amazing Feats That Will DAZZLE YOUR EYES and DELIGHT YOUR BRAIN! Sir Sidney’s circus is the best in the world, but Sir Sidney is getting old and a bit tired of travel. He loves his circus and his animals, big and small, but he needs some help. After a day of pacing and listing, considering and wondering Sir Sidney hires certified lion tamer, Barnaby Brambles to manage his circus. Right from the start things begin to go wrong. You see Barnaby Brambles doesn’t understand that kindness goes a long way. He doesn’t consider how all things are connected. If you eliminate one thing or add another what is good doesn’t always remain. Barnaby Brambles also doesn’t know that all things are not what they seem. If a deal seems to be too good to be true, it just might be. No, Barnaby Brambles doesn’t think about anything but money and becoming rich. He cuts corners in every way that he can. If he thinks he can get away with it, he tries it and he has no qualms about telling a lie if it will get him what he wants. He is bad, through and through. What will become of the best circus in the world now that he is in charge? Will the acrobats perform? Will the animals be safe and cared for? 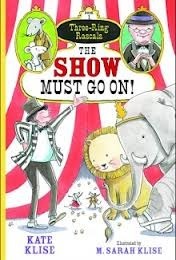 You’ll have to read The Show Must Go On! to find out. It’s smafunderful! You can Meet the Cast here and learn a more about the book. Which character are you most like? I’m curious to know what you think. I really like Melonhead. He makes me laugh. When I am reading I know things aren’t going to work out – (I thought, “Oh, please make the deliveries first. Just do it and then go watch. Oh, you really have to.” Knowing, of course, that he and Sam would not do that.) – and I can totally understand the reason for the choices they make. Melonhead is all about doing and working really hard to keep out of trouble so his mom doesn’t have to worry about him. His dad travels often an in Melonhead and the Undercover Operation he gives Adam a list called The Melon Family Guidelines for Life that he hopes will help Adam and his mom stay calm. Its a list of 9 actions to consider and take like 2. plan ahead or 4. when in doubt, ask an adult or 8. remember the ways of ladies. These G’s for L replace the Remind -o-rama with do’s rather than don’ts – and they sort of smooth things out. Melonhead works very hard to follow them but that can be difficult when you take being a Junior Special Agent for the FBI seriously and you feel certain that the newly posted person on the 10 Most Wanted Criminals in the country lives in your neighborhood. 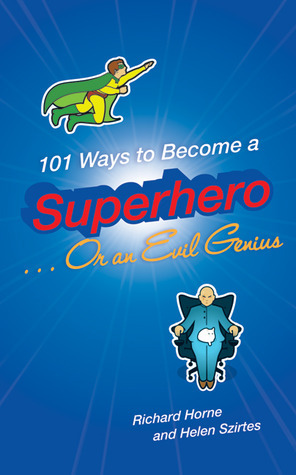 The characters are terrific – even if they only make a cameo appearance in this book. The actions are laugh out loud, but not outrageous. 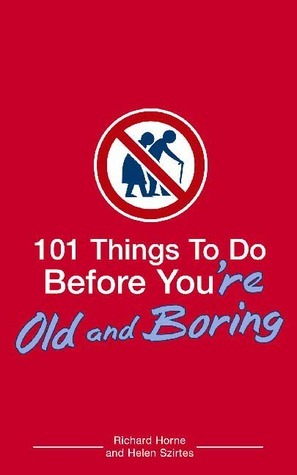 I don’t know which I like best: the human periscopes or the old lady disguises. I like how Adam and Sam have friend that are girls like Jonique and Lucy Rose and friends that are old like Pops and Madam and Mrs. Wilkins. And there is a serious side to. I am glad there are four Melonhead books so far, along with three Lucy Rose books because these are great characters to have around. 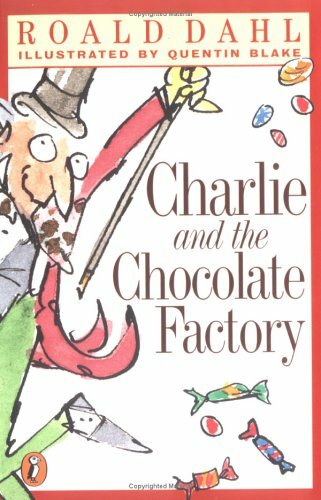 Roald Dahl had so many great books! I will share a few of his that I liked so much that I have read so many times. Boy and Going Solo I have already reviewed, but the ones that I’m going to review are shorter reads and are just as great. 5 Golden Tickets are released into 5 Wonka candy bars all around the world. After 4 tickets our found, Charlie’s parents, struggling to ‘make end’s meat’, give him a chocolate bar and as expected, no ticket. But by some miraculous stroke of luck, Charlie gets a golden ticket. The spectacular adventure that awaits him is far more than anything that he could have imagined. But meeting Mr. Wonka himself is one of the unimaginable adventures in itself. 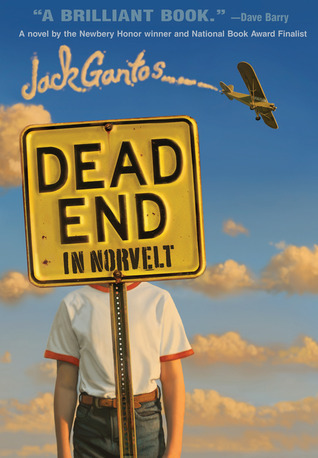 This has two movie takes on it and again, is one of Roald Dahl’s Ultimate Classics. The Greggs are a normal family. They live in their normal house, go about their daily activities. The dad and his sons hunt. But this makes their eight year old neighbor very cross. And being cross is the thing that activates her ‘magic finger.’ Her magic finger punishes people for the things that make her cross. 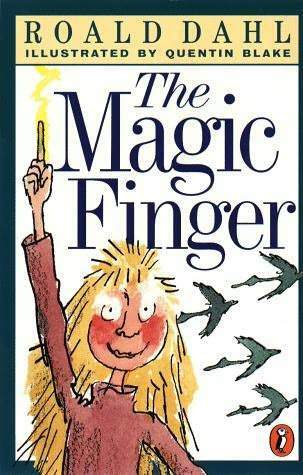 For example, the magic finger turned her teacher into a cat because the teacher called her stupid. And now the magic finger has done something horrendous to the Greggs, without the girl being able to control it. This is a quick read, but so not underestimate this book at all. The Enormous Crocodile is a VERY ENORMOUS CROCODILE! And he wants to dine on some “sweet, juicy” children. But all of his animal friends try to talk him out of committing this “dastardly deed”. The jungle animals cannot convince him not to do it, but they are not giving up. Read The Enormous Crocodile to find out what happens. Click here to access the Official Roald Dahl Website. To view other Roald Dahl Book Reviews, go to the “Book Review List” page (link found about book picture at top of screen) and find his books. You know from the cover, the subtitle (or, how Jodie O’Rodeo and her wonder horse (and some nerdy kid) saved the U.S. presidential election from a mad genius criminal mastermind), the end pages and the title page that this book will make you snicker – at least. Just after Lenny Junior and his only friend, Casper, go to Sven’s strange things happen in Hairsprinkle. There are bank robberies, corporate takeovers and fixed elections. Lenny knows Casper is the culprit. The bank security camera clearly show that the ringleader is dressed as a “man-about-town” and is sporting a spectacular handlebar mustache. Those at the exact two things Casper spent his birthday money on the day before. Lenny tries to get help and because of this he is named the “Evil One” and becomes most wanted while Casper’s (newly elected Mayor, Fako Mustacho) evil takeover plans unfold. Fortunately for Lenny Junior it is Halloween so being in disguise is acceptable and by some twist of trolley car fate, Lenny meets the real live person he is dressed up as, Jodie O’Rodeo. She seems genuinely nice and both soon realize the future of Hairsprinkle, in fact the world, is in their hands. With only booger shooting nasal guns, electric shock gum and the ultra-sticky-stretchy grabber hand along with their wits they must work together to save the world. Can they stop Fako Mustacho before it is too late? 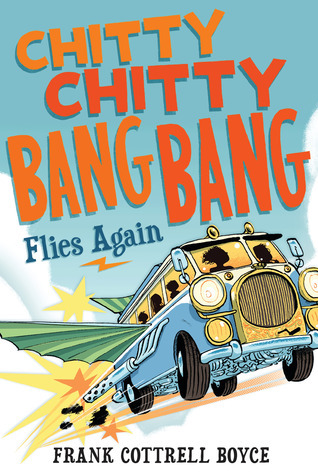 In 1967 one of my favorite Christmas presents was Chitty Chitty Bang Bang by Ian Flemming. I loved the Potts. I loved the whistling sweets. I thought Joe the Monster and his gang were terribly wonderful crooks. And of course, I loved Chitty Chitty Bang Bang with “her first two CHITTY sneezes and the two soft BANGS, the bangs ran on and into each other so as to make a delicious purring rumble.” I thought her amazing dashboard with knobs that glow and flash urgently as the need arose had just the perfect balance of efficiency and irreverence. Chitty Chitty Bang Bang – a magical car with a mind of it’s own. 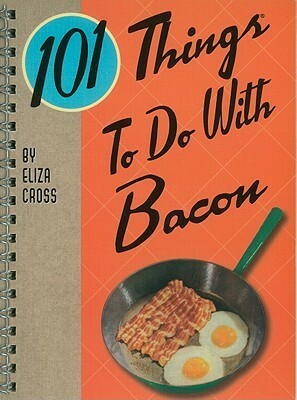 I loved everything about that book – right down to the secret recipe at the end! Chitty Bang Bang Flies Again does indeed have its own kind of enchantment. It takes the best pieces from the original, mixes them together with new ideas and creates a wholly unique story that has the Tooting family traveling the world, escaping the clutches of greedy crooks (Man Mountain Fink’s son from the original gang) and learning all about their amazingly wonderful Chitty Chitty Bang Bang. Chitty Chitty Bang Bang is part of the family now and is teaching the Tootings to pay attention to each other, listen carefully and have trust in the power of family. What a terrifically satisfying sequel! 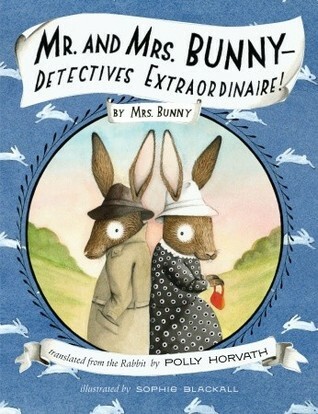 translated from the Rabbit by Polly Horvath is laugh out loud funny from beginning to end. As in all the Polly Horvath books I have read there is a uniquely functioning dysfunctional family situation. In this case Madeline is more an adult than her parents. She takes care of everything for them because they don’t seem to see the need for her traditional wishes to go to school, have friends or fit in. They get kidnapped and it is up to Madeline to find them. She knows she’ll have to because they don’t know how to do anything for themselves. She does this with the help of rabbits. She is able to talk to them because she is a one-of-a-kind person, “a Rabbit Whisperer.” They are detectives and work to make sure she has what all children need – someone to take care of them. Through many hilarious twists and turns they outsmart the foxes, break the code (sort of) and wear retro-purple sequin disco platforms in the process. So true – what do you notice? What do you believe? Enjoy reading while you wait for Everything on a Waffle‘s sequel to come out next fall. Books by Polly Horvath are fun! That is the end of the first chapter. That’s how secret this book is. The whole first chapter is X’s and the names written are not the real names of the characters. Okay, now to the review. Cass is a survivalist, always prepared for the next natural disaster. Max-Ernest is a logical boy, with an unidentified impulsive talking condition. Do you think that they would be “collaborators”? Probably not. But they are doing what they do best when they meet, and get mixed up in a dead magician’s story. Including a symphony of smells, an underground house and a two evil villains! 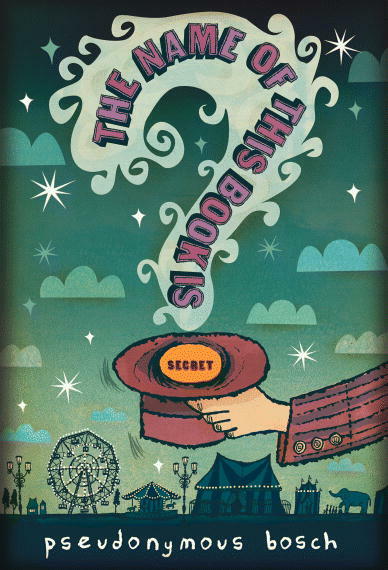 Read The Name of this Book is Secret by Pseudonymous Bosch to find out what happens. The Name of this Website is Secret includes a biography of Pseudonymous Bosch, all about the books and more. It’s awesome!! 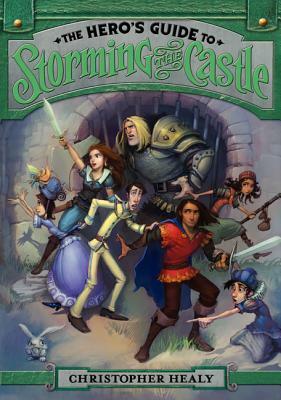 The publisher’s version of the series website here.